Backed by years of industry experience, we are engaged in offering a premium quality range of Wire Mesh Stackable Bins. 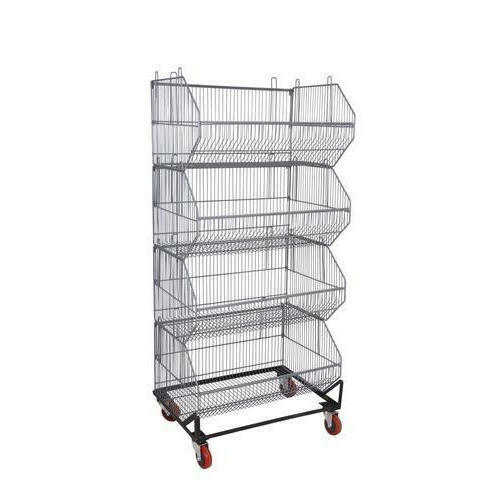 We “Vinay Wire Products” have gained success in the market by manufacturing a remarkable gamut of Plate Rack, Crockery Basket, Stainless Steel Trolley, Stackable Bins, Wire Dump Bin, etc. We are a well-known and reliable company that is incorporated in the year 1981 at Ahmedabad (Gujarat, India). Our offered products are manufactured in compliance with the pre-defined industry norms and tested to ensure their flawlessness. We are a Partnership firm that is managed under the supervision of “Mr. Ruchit Shah” (Manager), and have gained huge clientele.